Readers of the blog will hopefully be interested in submitting an abstract for the below conference, held at the University of Kent in July. See strand 3 on ‘colonial intimacy’ in particular. First deadline for proposals is 16th March, but don’t worry – there’s a second deadline on 20th April too! 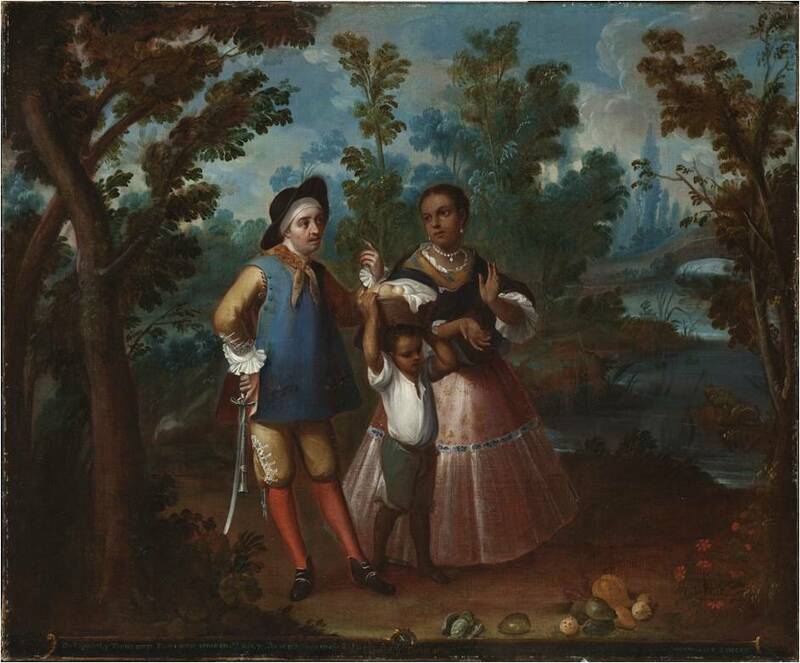 Casta Painting by Juan Patricio Morlete Ruiz (1713-1772). Oil on canvas (c. 1760). Los Angeles County Museum of Art. As historians of empire, we often find ourselves confronted with the ever-perplexing question of how European empires managed to rule over such large swathes of land, and such large numbers of people. Recent research has circled around this question in a variety of ways – looking at the role of technology, power and its performance, and the ideologies that underpinned colonial rule in different spaces and places around the world. These elements of colonial rule were both powerful and contested, interlaced with the tensions, anxieties and ambiguities of European imperialism. It is the contention of this workshop that what we are calling ‘the colonial toolkit’ can be split into three main categories, and we are inviting papers on each of these overarching themes for in-depth discussion. Colonial violence: Violence, both large-scale and quotidian, has recently reoccupied centre stage in imperial studies. This renewed scholarly interest calls for historiographical reflection. Papers are also solicited that address any or all of the following themes: indigenous resistance and accommodation to colonial violence; settler colonialism and genocide; the ‘dirty wars’ of decolonisation; liberation movement dynamics; the legacy of colonial violence. Ideologies of difference: In recent years, as imperial historiography has entertained themes such as networks, transcendence and connectedness, ideologies of difference and practices of disaggregation have gathered new urgency and meaning. This strand seeks contributions which explore the various ways in which ideas of difference were generated and acknowledged in the colonial and postcolonial histories of caste, tribe, race, religion, nation and partition, self and the Other, identity and political movements. Intimacy and empire: Colonial intimacy is a vibrant area of current research, working with, but also moving beyond ideas of sexuality and interracial relationships to think more broadly about colonial intimacy and affectivity, and its relationship with colonial power, paths of accommodation and levels of contestation. This strand is interested in papers that deal with any or all of these topics: sexuality, love, and friendship; gender, family, and children; intimacy, affectivity, and contestation; boundaries, contact zones and colonial interfaces; the extra-ordinary and the “everyday” in the lived experiences of colonial rule. This two-day workshop will examine race, intimacy and violence as ambiguous elements of European colonialism: consolidating, contesting and questioning imperial power. Hosted by the new Centre for the History of Colonialisms at the University of Kent, it is interested in taking an explicitly comparative approach to these areas – and will be selecting papers from across the geographical and chronological range of the history of empires (though individual papers do not need to be comparative). We are also seeking to establish and promote fruitful research relationships with contributors, and the workshop will include a methodological element addressing the question of: where next in the history of colonialisms? Abstracts of c.250 words should be sent to e.manktelow@kent.ac.uk, along with a short biography, by 16th March 2014 for the first round, and 20th April 2014 for the final round. It would be helpful if you could indicate which theme you envisage your paper being a part of. The Centre for the History of Colonialisms looks forward to welcoming you to the University of Kent! Fragment of an eighteenth-century casta painting by an unknown artist, Mexico. This entry was posted in Calls for Papers, Information, News and tagged conferences, emotions, gender, genealogy, intimacy, marriage, sexuality, women's history. Bookmark the permalink.